Let us face it. No one regardless of how great your air conditioning is during the summer, you still hesitate turning your stove on to make something. 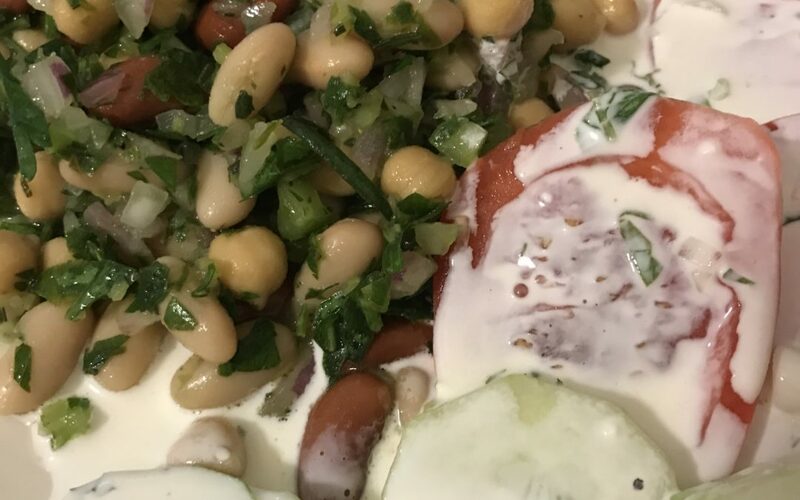 This simple bean salad is a perfect no cook side or a nice vegetarian meal for the summer. It is easy to make and beats anything you can buy pre-made out of a bottle or can. Sure it takes 15 to 20 minutes longer than opening a can, but it will taste a lot better and you can control the intensity of flavors. Combine beans, celery, red onion, parsley, and rosemary in a large bowl. Make the dressing by whisking the lemon juice, olive oil, salt, and pepper. Mix dressing throughly with the bean mixture.